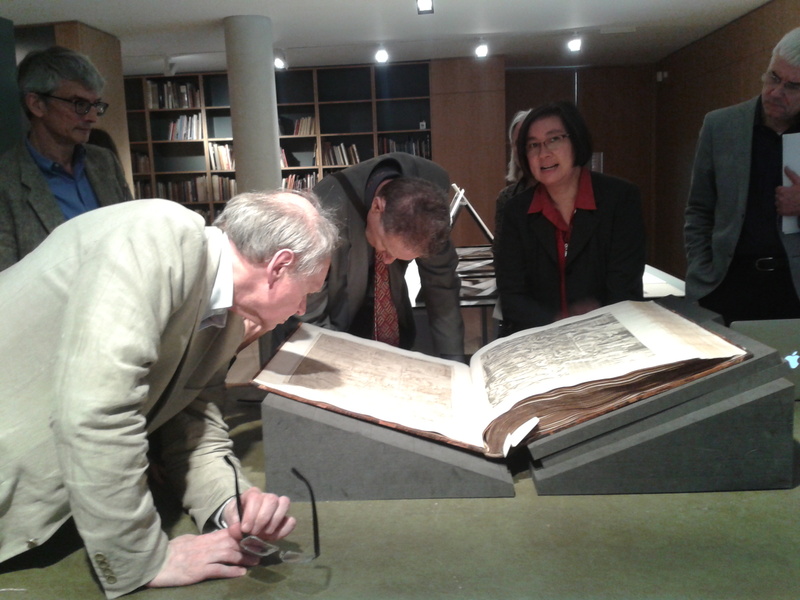 On Monday 22nd June 2015 The Visual Collections Team were delighted to take the Spencer Album of Marcantonio Raimondi prints to The Whitworth Art Gallery for one of their first study days since reopening in February. The session was led by Dr Edward Wouk, Lecturer in Art History (1450-1800), and the day was entitled Investigating Marcantonio Raimondi. The highlight for the Visual Collection Team was the discussion that the Spencer Album provoked, which was led by Visiting Research Fellow at the John Rylands Research Institute, Lisa Pon. Lisa had spent her month-long fellowship analyzing the Spencer album of prints by Marcantonio Raimondi, which had been discovered here in the library, by Ed Wouk. She hoped to develop a hands-on understanding of the album as a physical object and had been keen to understand the volume on three levels: as a material book, a compilation of prints, and an invaluable tool for understanding Raphael’s and Marcantonio’s reputation towards the end of the early modern period.